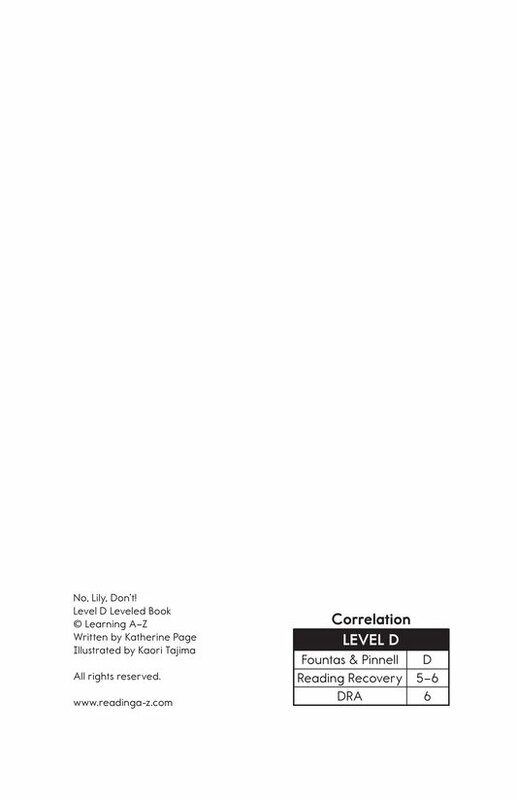 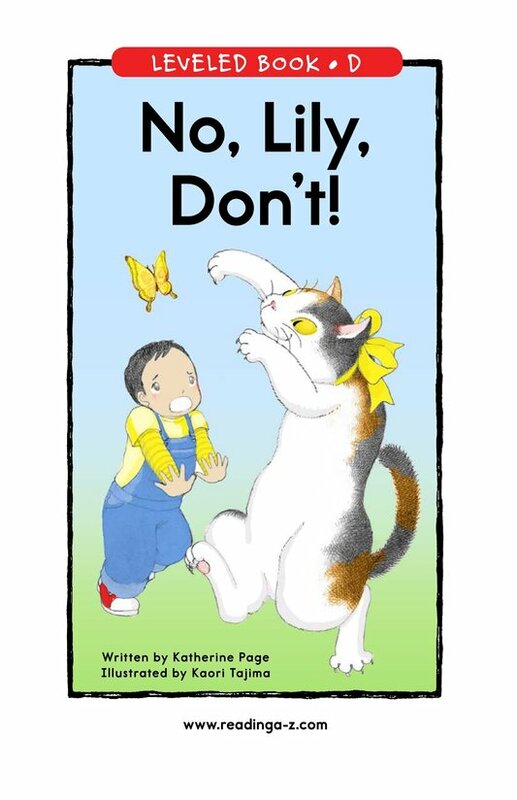 > Books > Leveled Books > Level D > No, Lily, Don't! 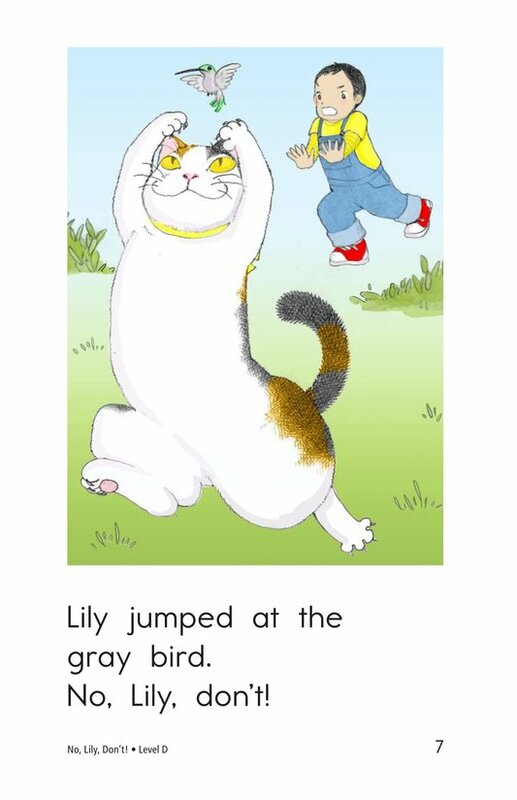 Lily the cat was bored until she decided to jump at some things. 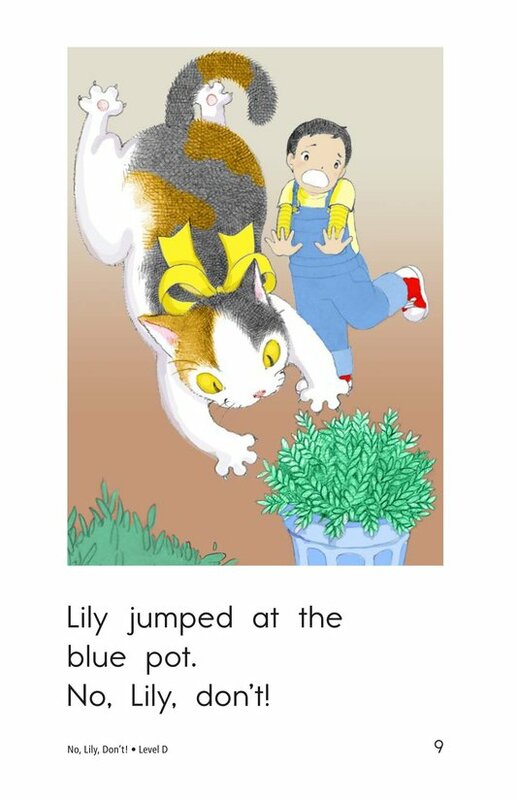 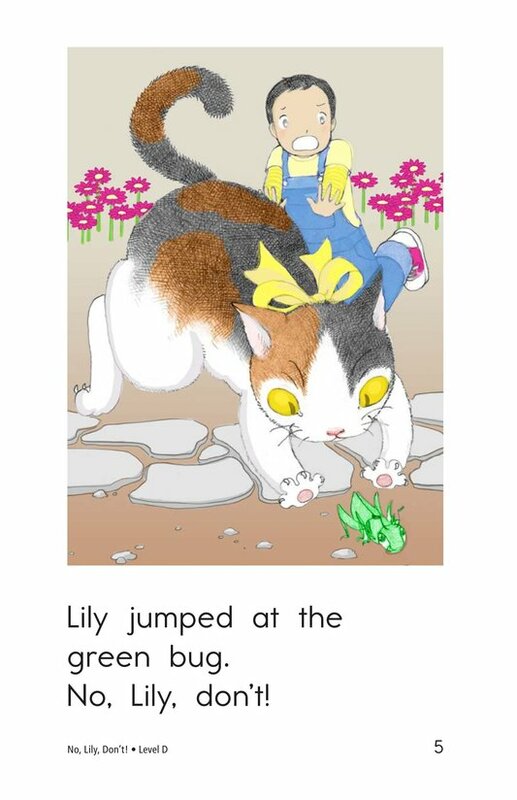 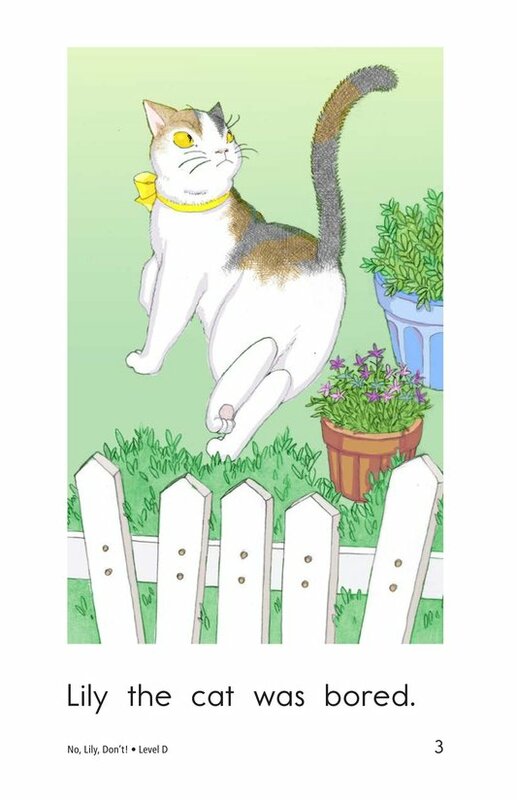 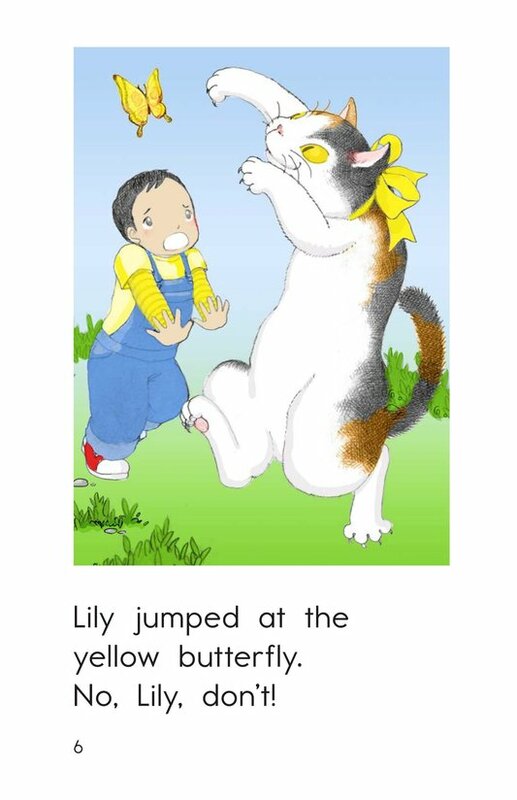 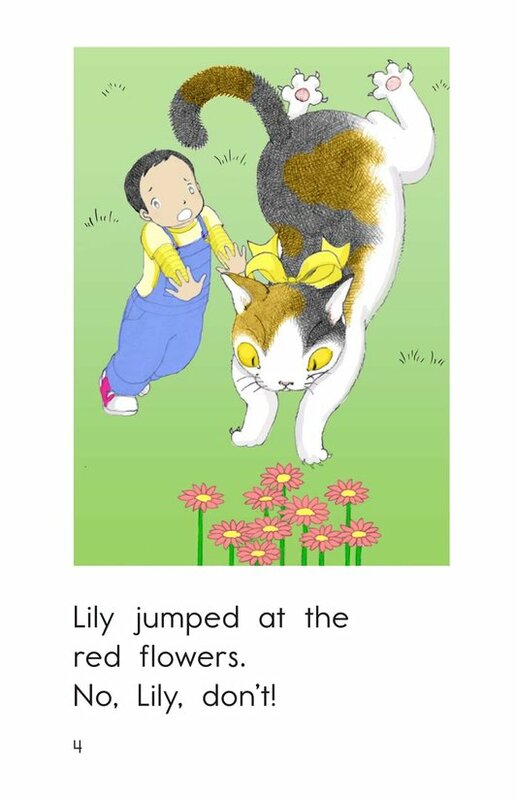 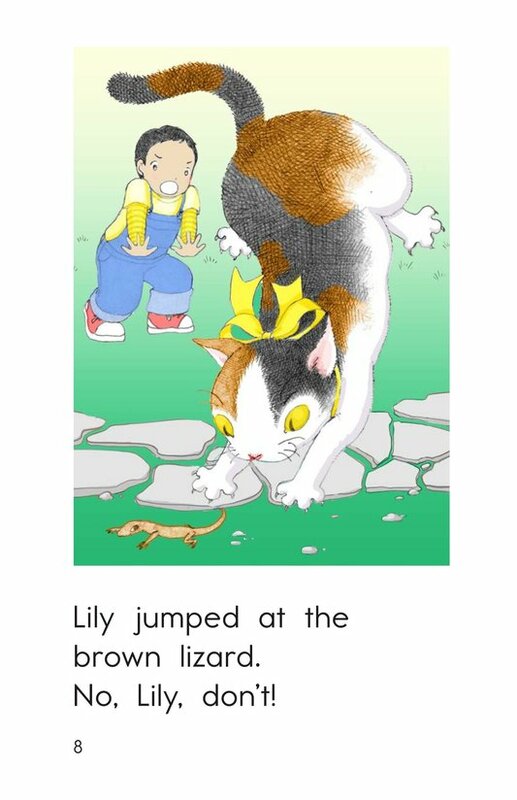 Each time she jumped, she heard, "No, Lily, don't!" 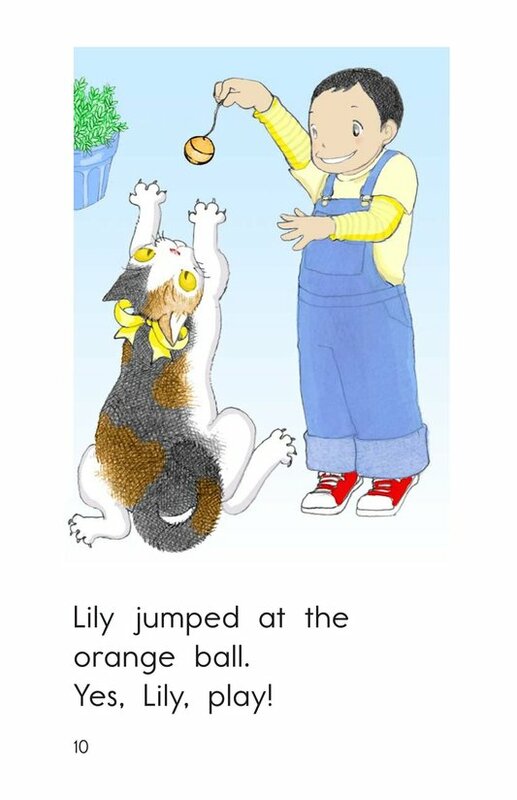 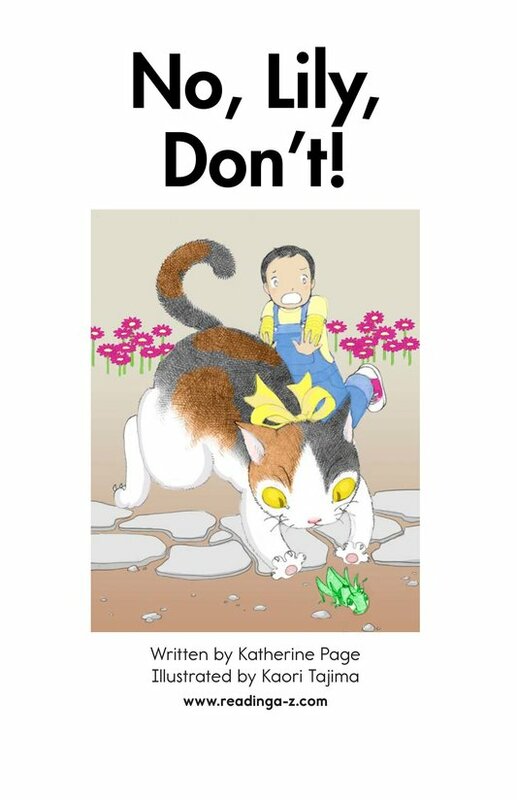 This book provides an opportunity for students to retell a simple story and examine cause-and-effect relationships.